Time is running out for Arrow, literally and figuratively. Season 8 will be the end of the road for Green Arrow and friends. And if Arrow season 7 episode 16 is any indication, Oliver Queen is going to get run out of Star City within the next nine months. “Star City 2040” took place almost entirely in the flash forward timeline that has played out this season. But the episode began with the birth of Mia, the daughter of Oliver and Felicity. 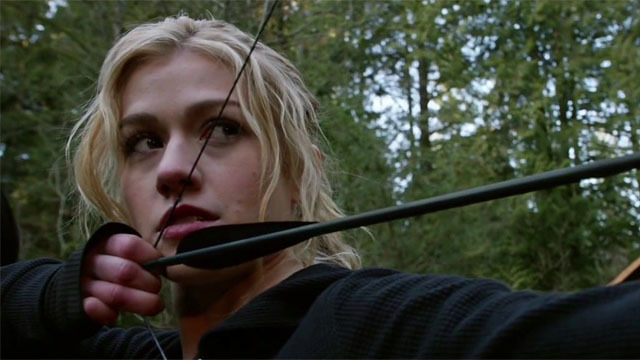 She’s the true heir to Green Arrow’s legacy, whether she wants it or not. Felicity and Oliver lived in seclusion when Mia was born a mere nine months from now. From there, Mia was trained for several years by Nyssa al Ghul, the woman who is technically Oliver’s ex-wife. Thanks to Nyssa, Mia took after her noticeably absent father and chafed at being so far from the big city. One night, Mia found Felicity’s secret room in their home, which she used to hack Rene and Kevin Dale’s company, Galaxy One. 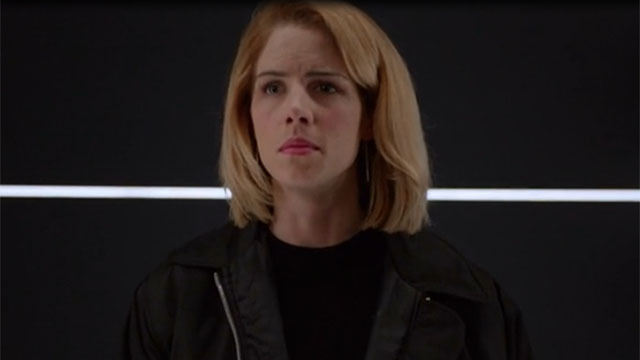 Mia was so incensed by Felicity’s hypocrisy that she left home and moved to Star City. Once she arrived, Mia had herself tattooed with the emblem of a Black Star. She also reinvented herself as a cage fighter, once she realized that should dominate the other competitors. In 2040, Mia and William climbed the wall to sneak into the Glades. Once there, they attempted to sneak past the security using William’s corporate ties. They failed, but Connor Hawke appeared and vouched for Mia. 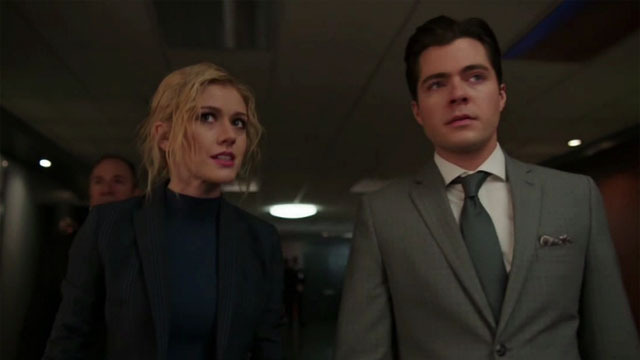 Privately, Connor told them that he was the adoptive child of John and Lyla Diggle, which means he must be Bronze Tiger’s son who was glimpsed in the last episode. Mia berated him for lying to her from the start, but William got them to focus on the task at hand. Together, they managed to steal a DNA sample from Dale, and rescue Felicity from his clutches. Naturally, the first words out of Felicity’s mouth were “I told you not to come,” which only served to anger Mia. Meanwhile, future Team Arrow was confronted by Rene. Although Rene was furious that his daughter, Zoe, was now a vigilante, she threw his anger back at him. Rene admitted that he was a party to the plan to blow up Star City…after its residents are evacuated. 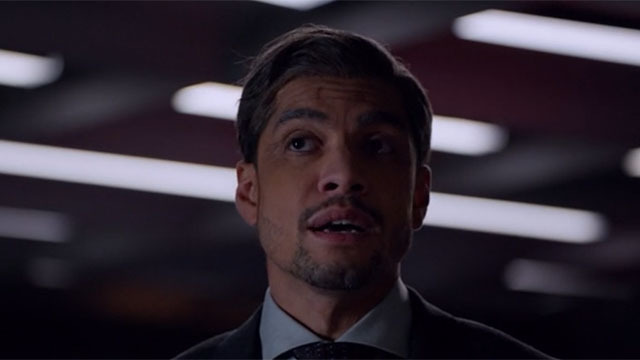 However, Rene was forced to go back to Team Arrow for help when he discovered that the plan to destroy the city had been moved up. And there were no plans to save its people. The only way to disable the bombs in time was to find Dale and destroy his remote detonator. That task was complicated by a costume party in the Glades, which gave Dale a disguise when he needed one the most. Mia found Dale first and confronted him, but his personal army slowed her down long enough for him to melt back into the crowd. Rene decided that the only way to draw Dale out was for Team Arrow to reveal themselves to the panicked crowd. With only seconds to spare, Mia used her father’s signature weapon to take out the detonator and save the city. In the aftermath, Rene publicly blamed his ex-teammates and set a bounty on them. But privately, Rene agreed to work with them to prevent the destruction of Star City. Although Dale was suspicious of Rene’s intentions, he still showed off the tech that may allow him to prevail. Meanwhile, Felicity and Mia reconciled their differences and officially joined the new Team Arrow. Felicity also revealed that she invented Archer, the surveillance tech that Dale is using to further his plans. 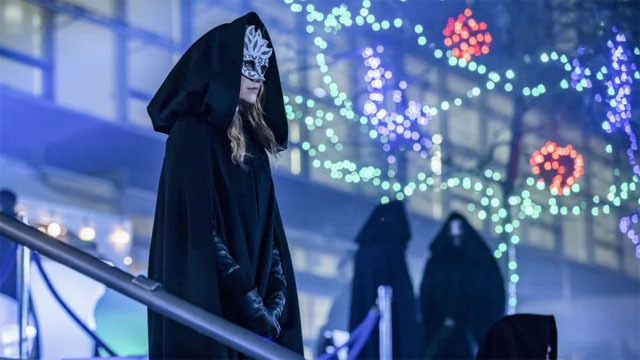 What did you think about Arrow season 7 episode 16? Let us know in the comment section below!